My name is Alex Galbraith, and I am a Lead Solutions Architect working for Rackspace, and based in Surrey, UK. I’ve been an IT pro since 2003, and got into virtualisation shortly after, with the release of VMware ESX and GSX 2.x! I’ve been a VCP since the VI3 days and have managed numerous virtual environments from tiny two host solutions, to thousands of VMs and due to my love of all things VM, have been fortunate enough to be awarded vExpert status for the last six years (2013/14/15/16/17/18). More recently I’ve also been invited to be a delegate at Tech Field Day, which have been truly awesome experiences! 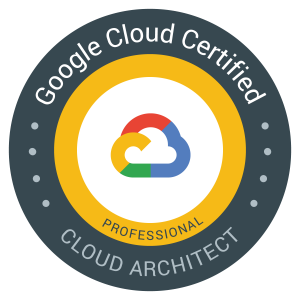 Since 2016 I have become a bit of a cloud monkey, having nailed down a number of AWS, Azure and Google certs, and spending most of my working hours doing cloudy things! Nov 2017 – UK VMUG – AWS for VMware Admins (with Chris Porter) – Now on YouTube! Jul 2018 – CloudSpotting – DevOps coming soon!…. The postings on this site are my own and don’t necessarily represent Rackspace’s positions, strategies or opinions. All data and information provided on this site is for informational purposes only. tekhead.it makes no representations as to accuracy, completeness, currentness, suitability, or validity of any information on this site & will not be liable for any errors, omissions, or delays in this information or any losses, injuries, or damages arising from its display or use. All information is provided on an as-is basis.